Not everyone thinks “Kansas!” when the conversation turns to traveling the country and looking for good beer. 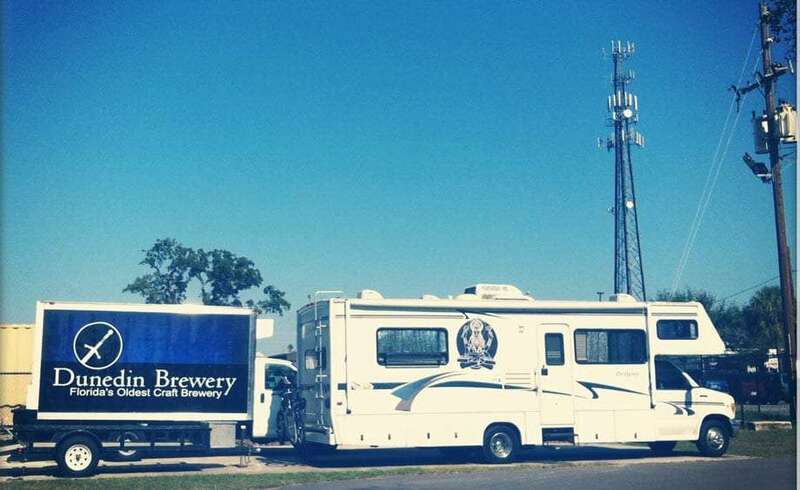 But then again, not everyone is wandering this nation in an RV named Stanley, every next destination a brewery. If you were Brian Devine and Maria Scarpello, though, that would just be what you called living. Originally from Lawrence, Kansas, a good sized city about 45 minutes West of Kansas City, the two bought themselves an RV in 2010 and have been in search of the best craft beers these United States have to offer ever since. I’ll admit, I’m one of those who thinks of Kansas as just another massive obstacle in the way of getting back and forth from the Rockies to the Appalachians, so with all the questions I had about their travels, I was particularly interested in a native’s view of the state. “I have a shirt with a ‘dictionary’ definition of Lawrence that reads: ‘1. A city in north east Kansas. 2. The greatest place in the history of the world, ever. '”, boasts Brian, the male half of this traveling duo. “In short,” he continues, “that sums up Lawrence to us. Praise for Kansas. A desire to seek out exceptional beers. Living full-time on the road. They’ve already piqued my curiosity beyond most travelers we talk with these days. I ask him their ages, a question some people are hesitant to answer. “I’m 31 and Maria is 30. We’re not sensitive about our ages. It probably helps that we are around 60 somethings and retirees a good amount of the time.” Okay, now I’m beginning to relate. Most people who want to travel or see others traveling are missing one key element. It’s easy to be young and adventurous. It’s easy to love beer. But what Maria and Brian have that separates them from those who are simply dreaming of a life like this, is simple. They put together a plan. 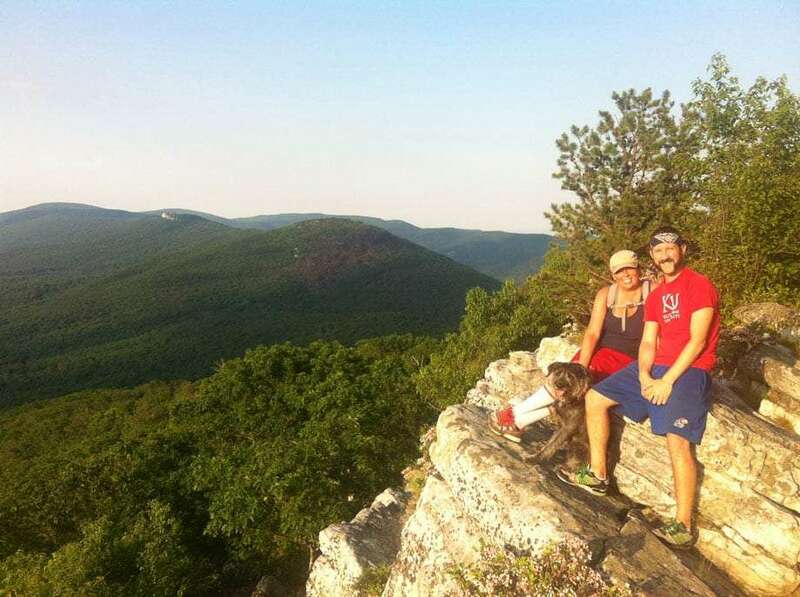 The couple, who’ve been together for 12 years, have both experienced a ton of overseas travel, but never spent much time tooling around America. 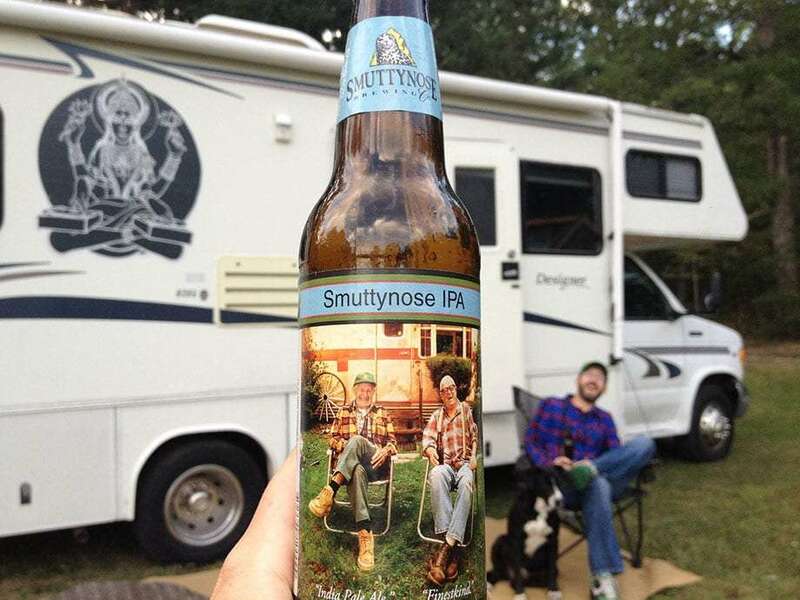 Smuttynose and Stanley, what a combo. But hitting the road, they didn’t have a specific plan. Travel the country for six months or so, see what the Land of the Free had to offer. Certainly not to try and hit as many breweries as possible, using that as a compass to find their next destination. Three years and a few hundred breweries later, they seem to have found their niche. “When we first hit the road,” Brian recalls, “we had spent so much time renovating the RV, selling our stuff, and prepping to leave that we hadn’t really researched what we would do.” It’s kind of natural that, from Kansas, one might head west to the big mountains of Colorado, and that’s precisely what they did. 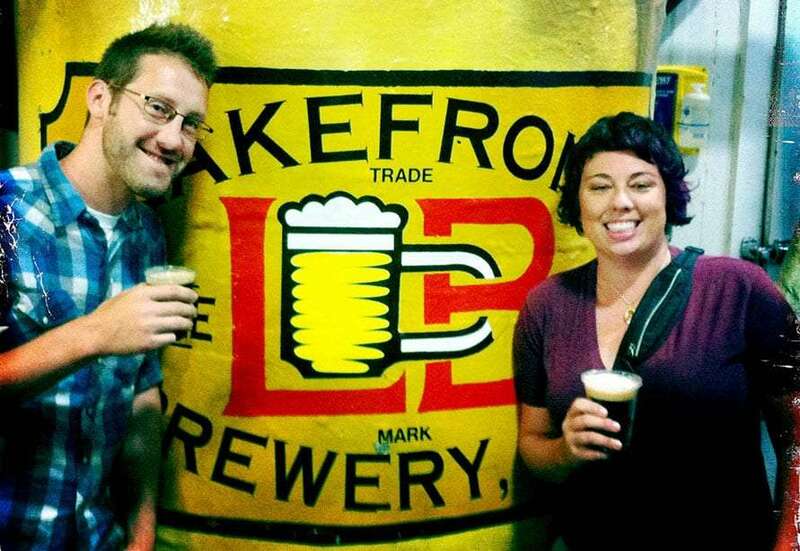 As soon as they landed in the state, they decided–as any sane, young couple would do–to hit up a brewery. 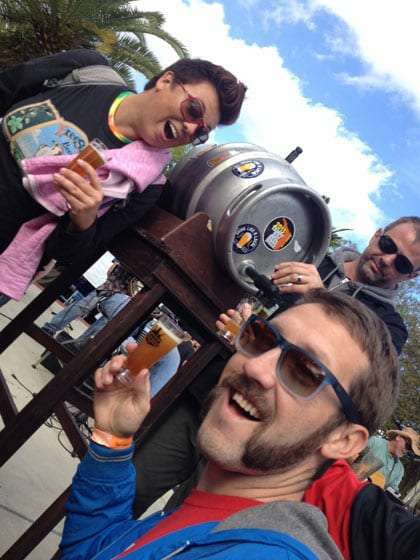 “Once we were there we had a great time talking to the locals and getting advice on what to do in the city, sites to see, and others breweries to visit. “It was the ultimate visitor’s center and since you can find a a brewery in pretty much every corner of the country it has been very convenient. Now breweries and a few yearly commitments give us a rough outline of where our travels are going but still giving us plenty of room for spontaneity.” They’ve turned great local beers into a way to find themselves a next destination, and the great thing about craft beer is, where they’re making it, is usually where the country is at it’s best. Think Colorado’s Front Range, Oregon’s mountains and coast, Asheville, North Carolina. Where nature has yet to be paved over by man and open-mindedness prevails, so do breweries thrive. Stanley, parked at Duned In Brewery in Florida. Brian has been into beer for quite some time, and we’re not just talking beer pong at high school basement parties. 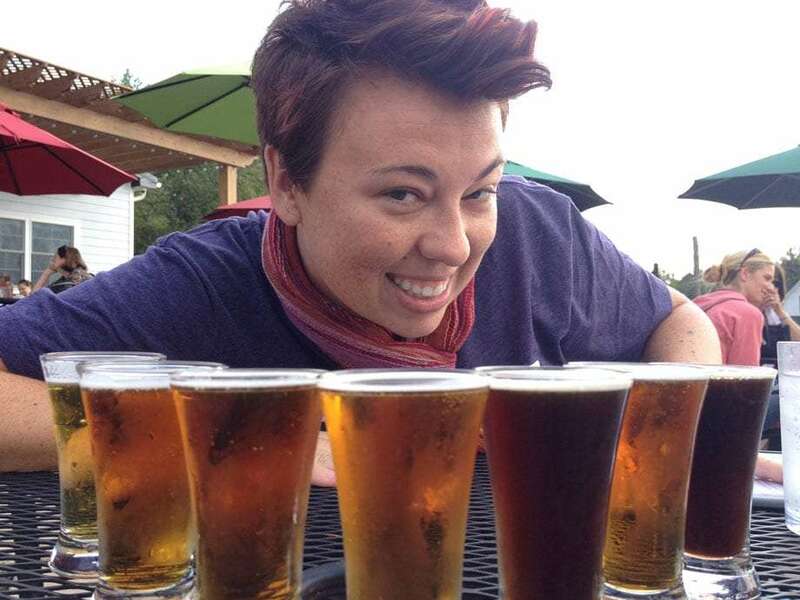 “Lawrence has a great local brewery,” referring to Free State Brewing Company, “that also happens to be the first brewery in Kansas since prohibition was repealed. I worked there during my junior year in college and gained a great appreciation for craft beer. After I got back from studying abroad I started home brewing with a buddy.” Not long after, he and Maria joined the Lawrence Home Brewers Guild, which Brian describes as “a great collection of people who love making and sharing beers.” The two learned the craft beer lingo and earned an appreciation for the art that is making a great adult beverage. As a man who’s spent up to 25 minutes staring into a beer cooler trying to decide which six pack to pick up for the night, I can appreciate that finding your next beer can be a daunting task. No one wants to open up the first of six nasty skunkers and regret that, having already driven twenty miles into the woods for a campground, you have five more to go if you don’t want to waste the sixer. So how do people who do this, you know, as their thing, figure out which beers to try, which breweries to fall into? Combining modern technology with the oldest search engine on the planet, just asking someone. But what happens when you’re somewhere like Denver or Portland, and there are literally too many breweries to visit? “It all depends on our schedule and where it’s easy to park. We make a point to visit the major breweries in an area so if there is another brewery near it,” a likely scenario in the cities mentioned above, “we’ll hit that up as well. If we can get there by bike from our camping spot that helps or if it is easily accessible by public transit.” One could imagine how infinitely easier–and safer, more legal–public transportation might be than, say, hauling around an RV through city streets with a couple of IPAs under your belt. Brian is a graphic designer, one of those “perfect for the road” kind of jobs. Maria recently began working for WooThemes, a web design and development company specializing in WordPress themes and plugins, doing customer support. That’s helped bring in some additional cash, but also changed up life on the road a little. Maria and her host variety of beers, Blue Mountain Brewery in Virginia. Some might think though that having an 8-hour a day job would be a hindrance to traveling, perhaps even exactly the kind of thing one might be trying to avoid when seeking out this life. It is, after all, a permanent vacation. Or so it can seem from an outsiders perspective. Brian feels a bit differently. I ask him if he can drop me a Top Three list. Hesitantly, he states, “We tried coming up with our top 50 and couldn’t even limit it to that!” Yeah, there are a lot of good beers out there these days. That said, we do have some that are near and dear to our hearts.” He mentions Boulevard Brewing out of Kansas City, California’s Lagunitas and New York’s Brooklyn Brewery. That’s three of the bigger players, but even hitting the limit he needs to go on. Later, he reveals that secretly he’d give Colorado the blue ribbon if he had to, though. Not everything in their travels is about imbibing, of course. I probe as to whether or not they might ever consider switching up their game, moving on to touring pig farms or trampoline factories or something. Traveling around in a 1999 Class C RV that’s big enough to get comfortable but small enough to park in a normal parking lot. Getting around towns and cities by bus and bikes. Making a living by working remotely. Drinking lots of great beverages from all around the nation, these two do seem to have it made. They’ve found a few ways to get creative with income, too. So they’re happy in their travels, have found what makes them tick and managed to turn a six month escape into a three-years-and counting lifestyle. So where do you go from there? The couple have realized that the life they’re living just might be one that others are interested as well, so they began a website for likeminded people. Brian and Maria were nice enough to offer our readers a 10% discount on their beer travel starter kit, just use discount code wandrly.